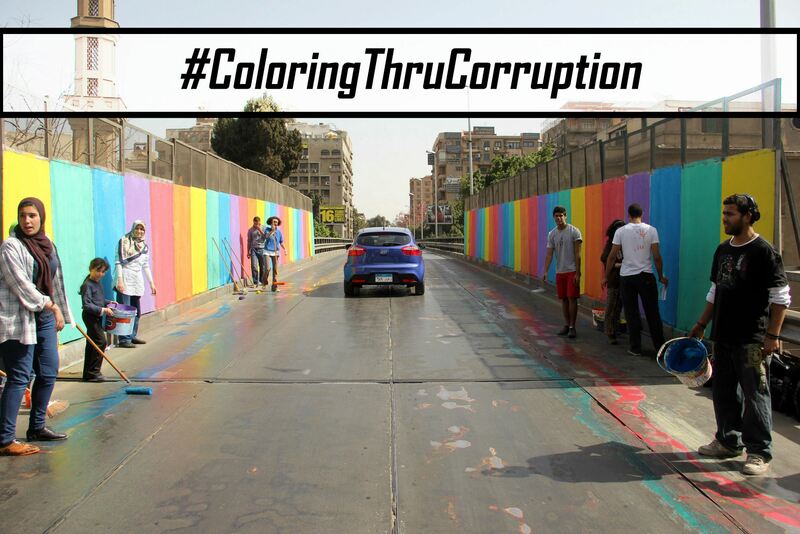 Graffiti artists Nazeer and Zeft have launched a new awareness campaign called #ColoringThruCorruption, where they paint walls, water pipes and other public surfaces to raise awareness about corruption and how the Egyptian government is stealing the money of its people. احنا مش جايين نلون عشان تبقي الحياه حلوة و بتاع – بالعكس تماماً – دي طريقة اخترناها عشان نشد انتباهكم لواقع الامر. فلوسكم بتتسرق، الفلوس اللي بتدفعوها كل سنة عشان تجددوا رخصة عربياتكم و المخالفات و تطوير المرافق و الطرق و الكباري … و فواتير المية ، و الكهربة، و الغاز و الاي كلام. الفلوس بتدخل الصناديق الخاصة، بتروح للمحافظين و المجالس المحلية و بعدين في الاخر تلاقي الطرق مدمرة، بلاعات في كل حتة بتبلع بني ادمين و تكسر عربيات، بيوت ما بيوصلهاش مية و كهربة و غاز. هنلون الفساد عشان نشد انتباه الناس و بعدين نقولهم رسالتنا. المرة دي كنا حوالي 10، المرة الجاية 20 ان شاء الله. 40، 60، 100. هنلون العشوائيات، أكبر دليل علي الفساد لما يكون واحد عايش في قصر و تعدي الشارع بس تلاقي واحد عايش في خرابة. We’re not painting to make life pretty- on the contrary, this is our way of drawing your attention to the reality of the situation: the government is stealing your money, the taxes you pay every year to renew your car license, pay your traffic tickets, pay for the roads, bridges and highways to be maintained, pay for your water/gas/electricity bills and so on. This money goes into the personal accounts of the governors and the local councils. In the end, you find the roads ruined and full of holes that damage your cars. So many homes without access to water or electricity or gas. This is the devastating reality. 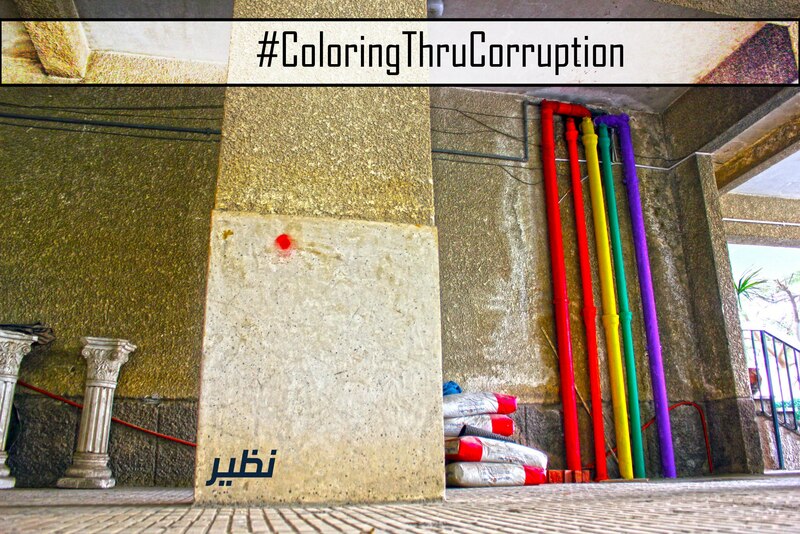 We’re painting corruption to draw people’s attention and then tell them our message. This time we were ten people painting. Next time we’ll be twenty, forty, sixty, a hundred with God’s will. We will paint the slum areas. The biggest proof of corruption is when one man lives in a palace and across the road, another man lives in a slum. For more information on the campaign, check their google documents page. You can reach Nazeer on twitter and Zeft on twitter too. 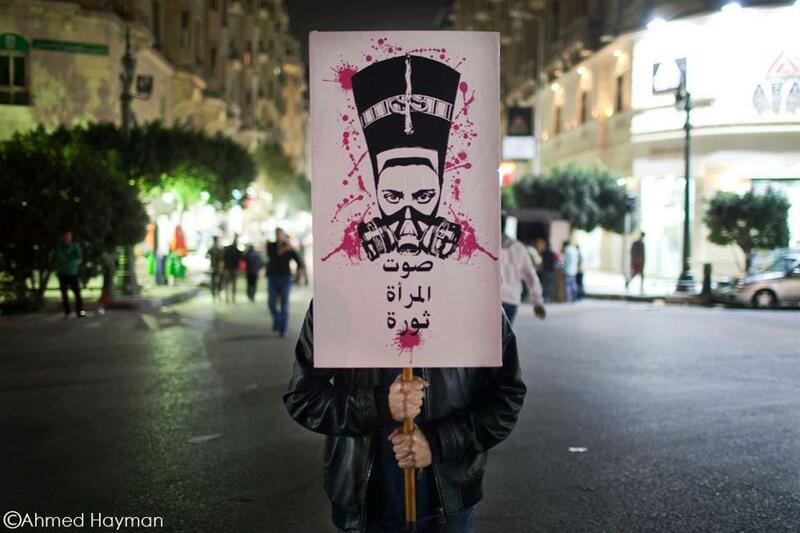 Zeft’s previous campaigns include his Nefertiti mask graffiti, which was endorsed by anti-sexual harassment campaigns and spread to protests around the world in support of Egyptian women. 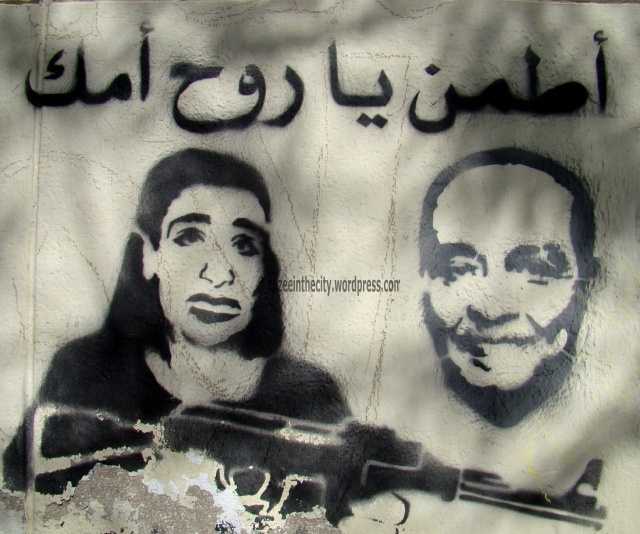 Nazeer’s previous campaigns include graffiti calling for a return to protests in Tahrir during 2011 and his graffiti of Iman Salama, a murder victim whose death received little media coverage. 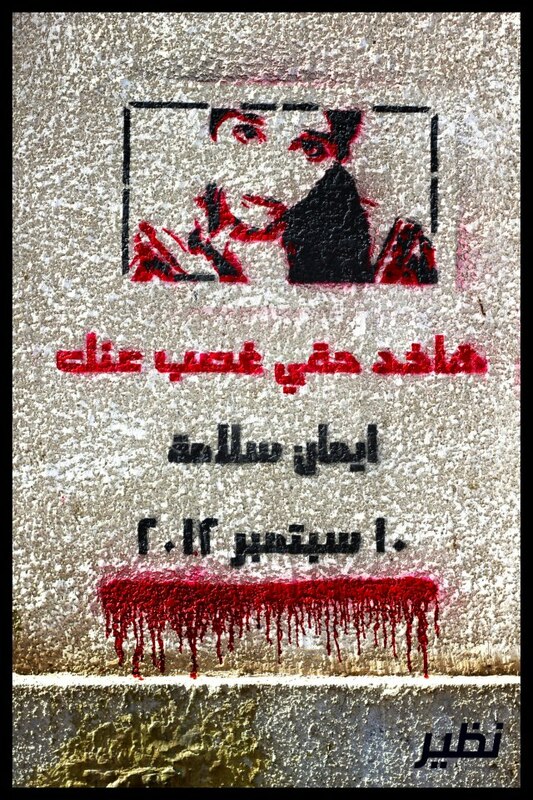 Nazeer made the stencil for EIPR- the Egyptian Initiative for Personal Rights, an NGO that wanted to draw attention to Iman’s murder. 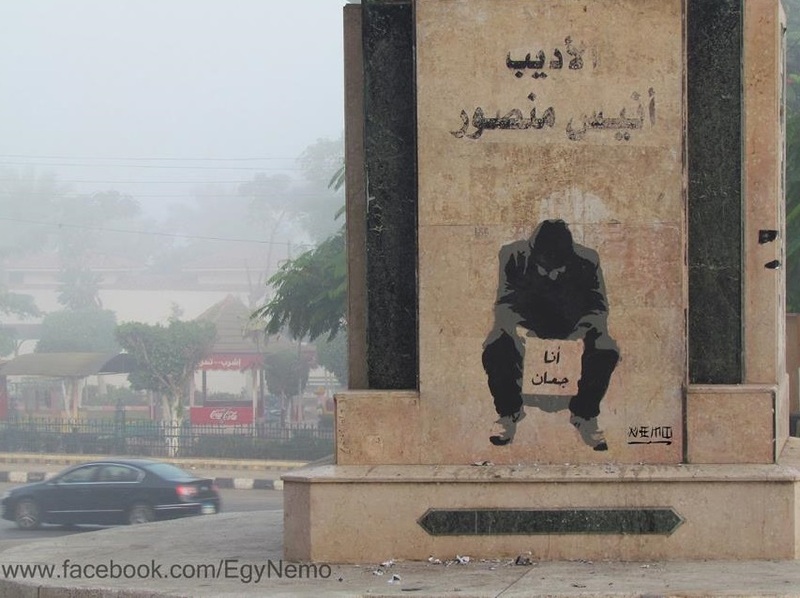 Nemo is a street artist in Mansoura who has made graffiti raising awareness about street children, homeless people and poverty as well as sexual harassment. 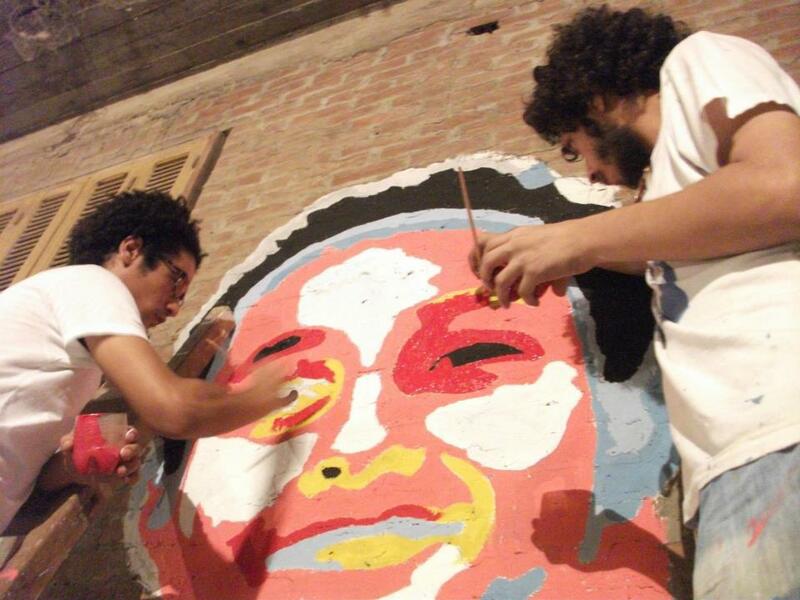 He is one of the most diligent street artists in Egypt and has dedicated pretty much every single graffito he’s made to honoring martyrs, advocating the revolution and drawing attention to the impoverished and disenfranchised millions of Egyptians. You can check his blog here. All these images are taken from his Facebook page. Watch an interview with Nemo in this upcoming documentary ‘In the Midst of Crowds’ here. ‘I am hungry’. Photo courtesy of Nemo. ‘I am dying of cold’. Photo courtesy of Nemo. 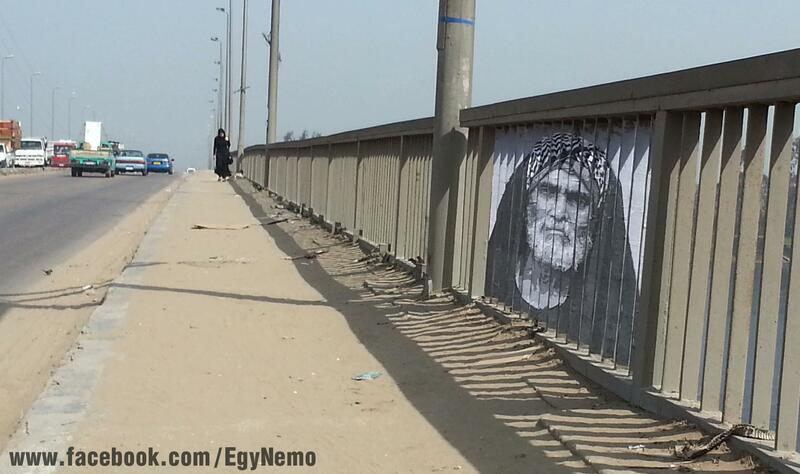 His new campaign is to plaster sliced photographs of Egyptian faces on the iron walls of Gamaa Bridge in Mansoura. 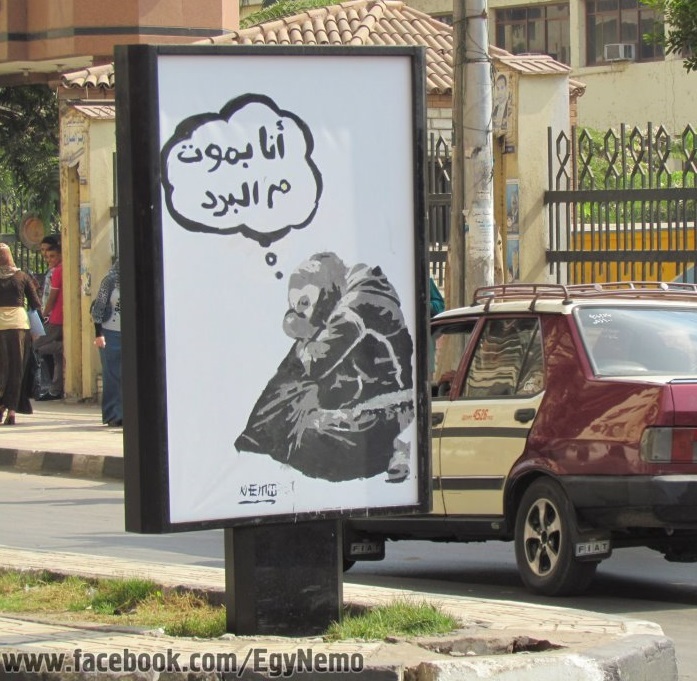 This one below is my favourite, of Abo El Thowar, who has become an icon of the Tahrir protests for his resilience and poetic protest posters. 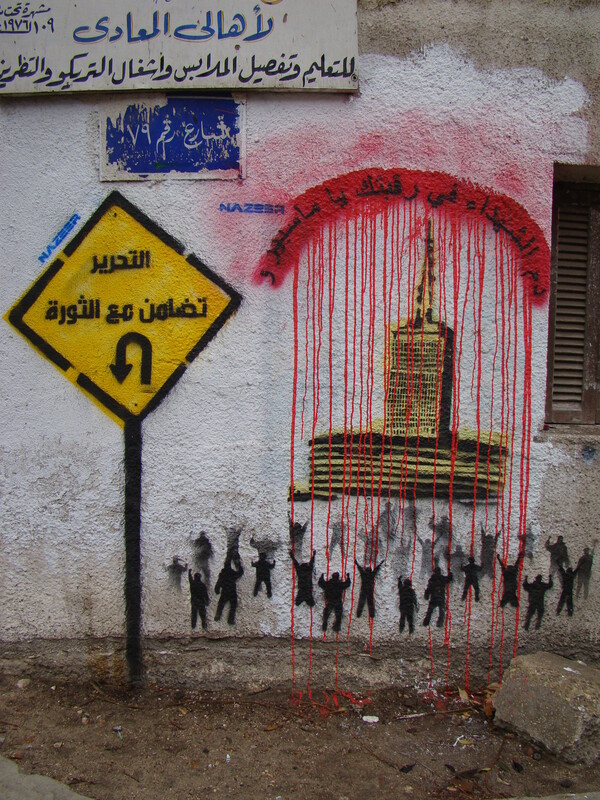 I first came across the work of the Mona Lisa Brigade back when they tagged over the anti-revolution graffiti made on Ganzeer’s bike versus tank mural back in 2012. 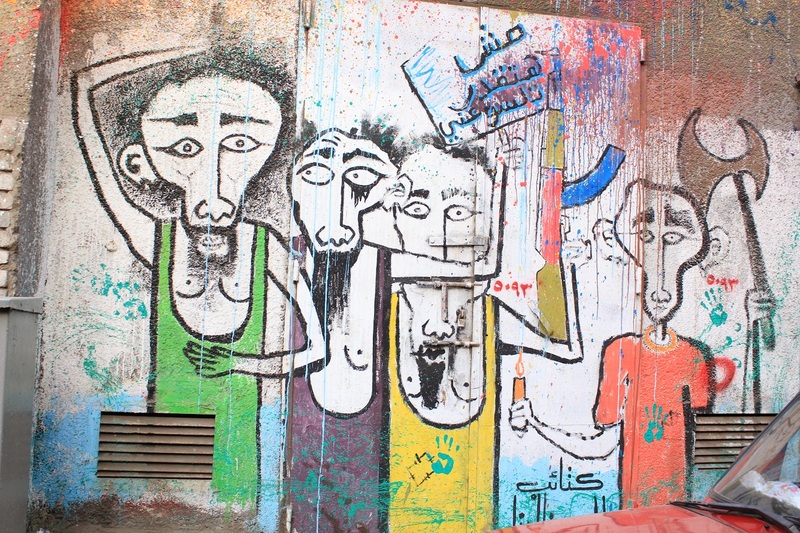 Aside from some really funny stencils, including Mary Moneeb and this mural of bearded men in Zamalek, their best work is their Ard El Lewa project. 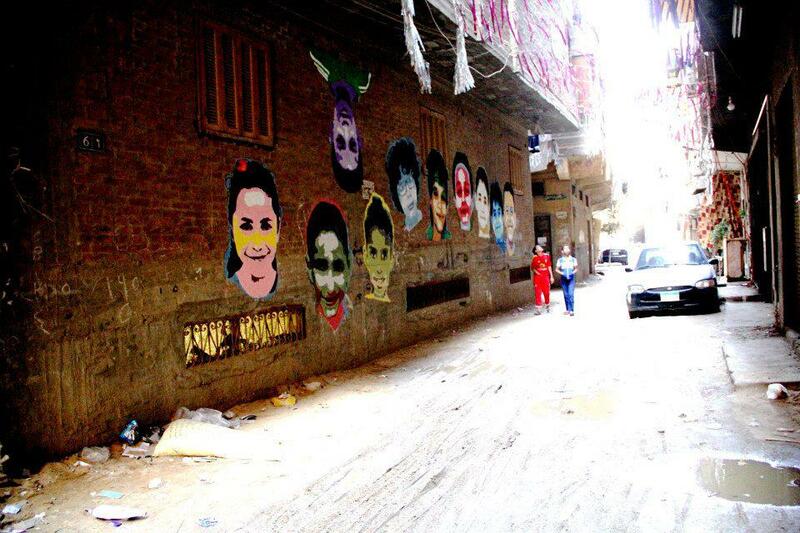 The project is called ‘I want to be’, where the artists painted on the walls of people’s homes in the Cairo slum of Ard El Lewa. 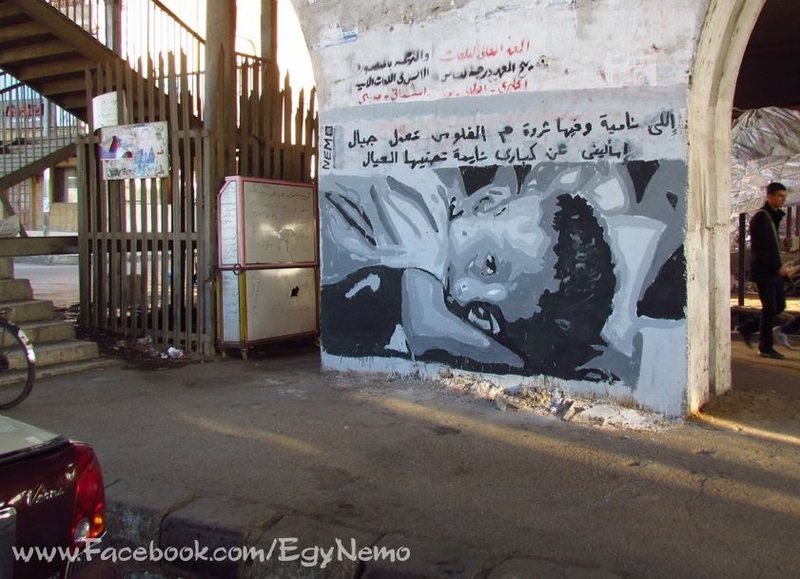 The children of the neighbourhood were photographed, and their images made into graffiti on the walls of the narrow, grim alleyways. For more info about Mona Lisa Brigades, please check their Facebook page. 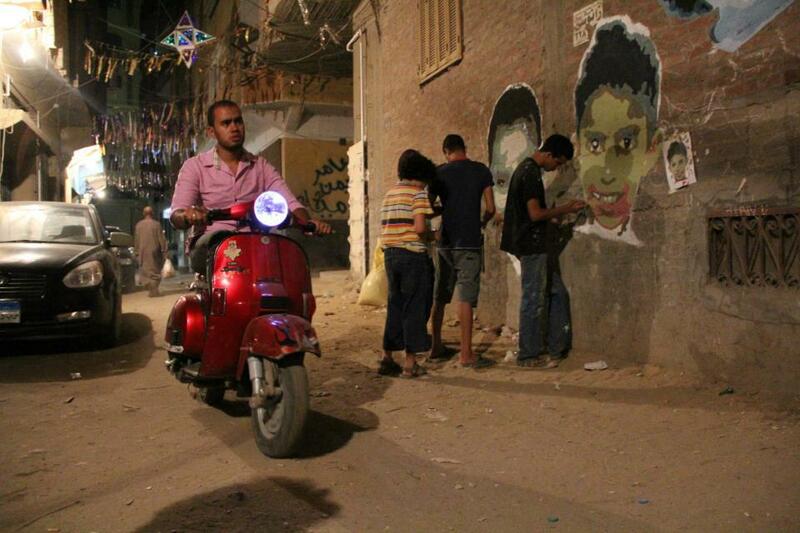 Such a simple gesture can bring so much hope and joy to an otherwise neglected neighbourhood. Using graffiti to beautify an area has an effect on the entire neighbourhood because it restores a sense of pride and ownership of the walls to the community. 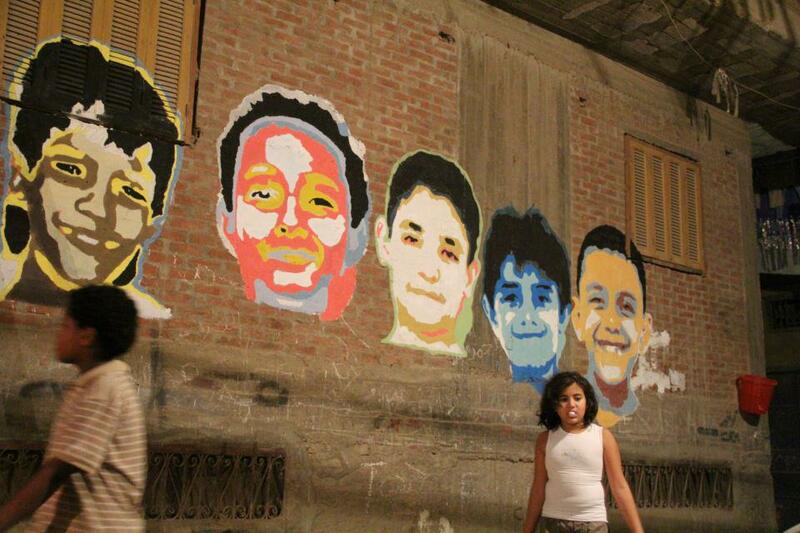 The project is a great example of using street art to help a community. 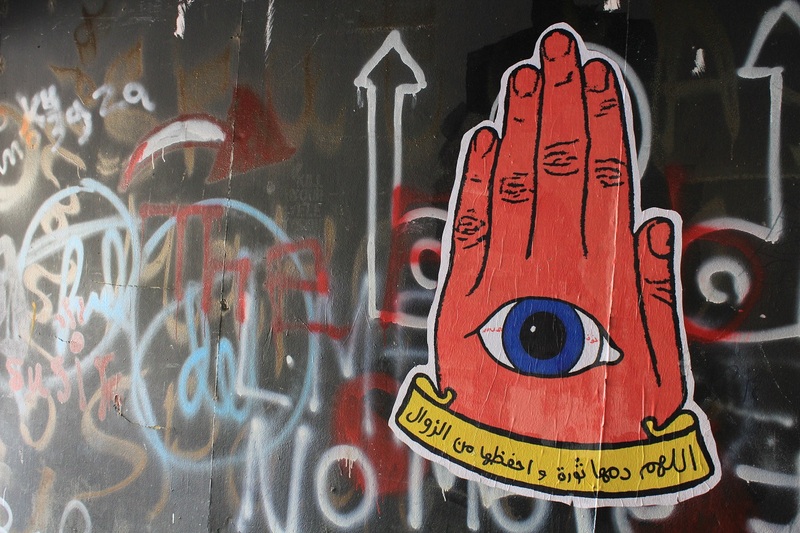 All of these initiatives are good examples of putting street art to good use, diverting it from its usual political course to spread positive messages, educate, raise awareness and help others that are completely ignored by the state. These artists are great people and deserve credit and recognition for their hard work. I hope they get it. 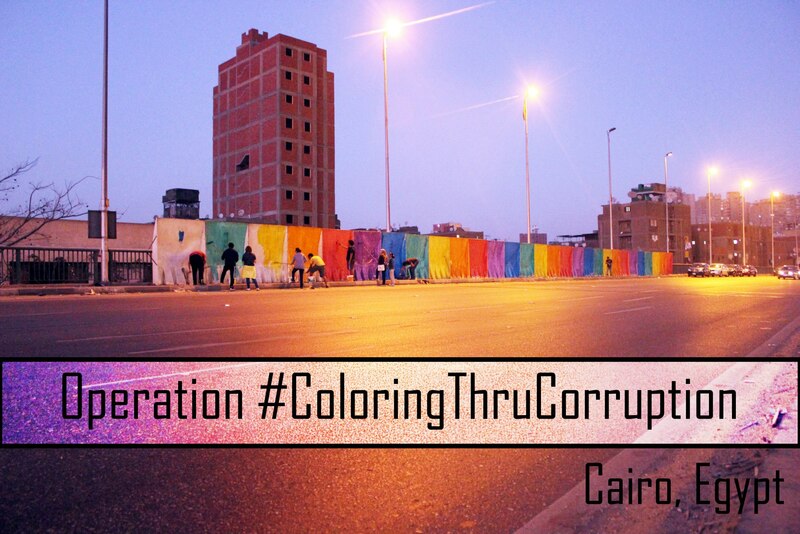 This entry was posted in Street Art Fascination and tagged anti-revolution graffiti, Ard El Lewa, awareness campaigns, bike versus tank, blog, Cairo Graffiti, Coloring thru corruption, Coloringthrucorruption, corruption, educate, EIPR, faces, Iman Salama, kids, Mansoura, Maspiro, men, Mona Lisa Brigades, Nazeer, neighbourhood, Nemo, Op-AntiSH, politics, poverty, protest, sexual harassment, slum, social awareness, street art, street kids, Zamalek, Zeft. Bookmark the permalink. Here is one project on social art you should all get behind. Absolutely awesome! fantastic work, even the simple water pipes look amazing! we love Egypt!